An ultrasound machine (sonogram machine) allows for a non-invasive examination of various organs and structures from the liver to the knee joint. In the category «Ultrasound Machines & Accessories», Praxisdienst offers you a selection of various ultrasound machines for mobile and stationary use, as well as the proper accessories, from ultrasound gel up to video printer paper. 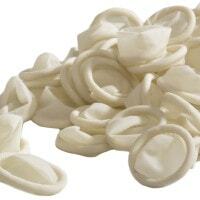 Buy accessories for performing ultrasound examinations (e.g. ultrasound gel) and machine accessories at affordable prices from Praxisdienst. 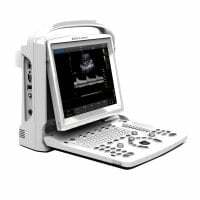 Buy ultrasound machines for use in different fields at affordable prices from Praxisdienst. Ultrasound probes are used to examine various types of tissue. 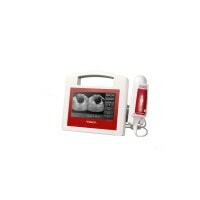 In this category, you will find transducers for our range of ultrasound machines. Discover our wide selection of video printer paper from Sony, Mitsubishi and Sonomed, and benefit from our attractive bulk discount prices. As an alternative to the expensive original paper, Praxisdienst offers you alternative paper from Sonomed for various video printers. With Praxisdienst, you may choose from a large selection of various types of ultrasound gels, such as clear ultrasound gel with a dye-free composition that makes it particularly well suited for patients with allergies. An ultrasound machine, also known as a sonogram machine, is a medical diagnostic device that is used for non-invasive examination of organs and structures. The ultrasound machine follows an image producing technique with the use of ultrasound waves, which are non-damaging to human organisms. Among others, the ultrasound machine comes into use in orthopaedics, gynaecology and birthing assistance, as well as urology. Sonography not only provides detection of various disorders, but the foetus can also be viewed throughout the various stages of development within the mother's womb. With a 3-D ultrasound machine, examined structures can be represented in a three dimensional manner. These ultrasound machines usually come into use for prenatal diagnostics in order to give the mother the opportunity to «properly view» her baby. In the ultrasound category, we have collected various ultrasound machines from name brand manufacturers. Some machines can be carried and thus, applied for mobile use on house calls. 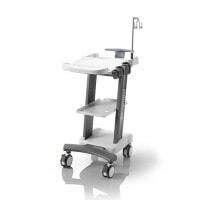 To go with your ultrasound machine, you will also find ultrasound transponders, ultrasound trolleys and ultrasound carrying cases. As a cost effective sonography consumable, we provide you with various packages of ultrasound gel. 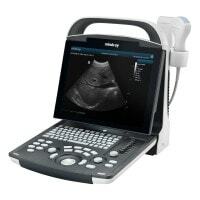 You would like to purchase an ultrasound machine, but are not sure which device is right for you? Send your sonography, ultrasound and consumables questions to our customer service. You may reach us per E-mail, telephone or live chat.